Order Our Collection ‘One Hellacious Halloween’ in Paperback Right Now! 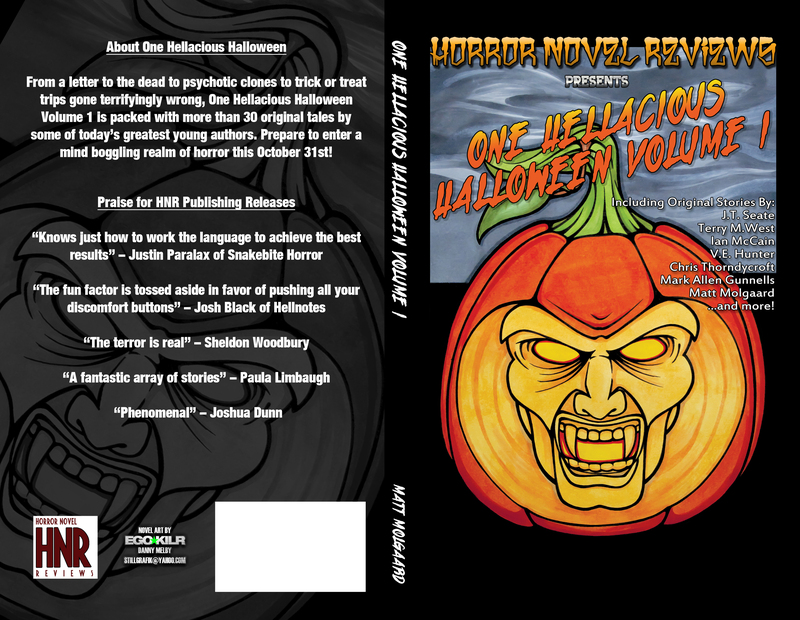 The paperbacks of One Hellacious Halloween Volume 1 are finally available via Amazon.com. It’s been a long time coming, but I’m extremely happy with how it all turned out. It looks great, it reads great and it’s a fine showcase for some of today’s hungriest young authors. Russell James, Terry M. West, Glenn Rolfe, Sheldon Woodbury, Matt Molgaard and more contribute to this staggering lineup of seasonal shockers. And now you can hold it in your hands! Celebrate this horrific holiday with us, Order the paperback right here! 6 Comments on Order Our Collection ‘One Hellacious Halloween’ in Paperback Right Now! The Kindle version is the only format available on Amazon as of this morning at 6:43. Excellent, Matt, well done! Hope you’re going to do the Christmas one too, because, well, I’m in that one! The Christmas collection will indeed be transferred to paperback as well! Ordered and now the wait…yeah !! !